Today at the BETT education show, Dell Public Sector President Paul Bell shared insights into education-technology innovation and trends among education organizations worldwide, including a growing focus on infrastructure technology in education and mobility trends. The Latitude 2120 can be built to suit needs for mobility with wireless, mobile broadband or WiMax connectivity. An updated functional rubberized outer casing provides an easy grip for smaller hands and protection against water. The laptop features an optional high-definition multi-touch screen for natural gestures and interactions on top of its proven video conferencing capabilities, to help make experiences such as digital collaboration an intuitive and fun experience. The optional multi-touch screen allows for intuitive interaction and high definition display (1366×768) to watch HD content. Teachers can easily monitor network activity and identify students browsing the Internet with a Network Activity Light. Using Latitude 2120 systems-management support (e.g., wake-on LAN, ASF, SMS), your IT staff can push updates overnight via a system management console, such as Dell KACE, and help save precious time and money. Available in select countries, the optional Dell Mobile Computing Station 2.0 even allows IT staff to push updates to systems while they're stored as all systems docked are hardwired into the school's existing network. The optional tamper-resistant keyboard design helps to prevent the detachment of keys, as well as provides increased durability and optional anti-microbial protection for intensive student use. Blio and Dell, a partnership that has already proven successful with the launch of BookStage powered by Blio as part of Stage, Dell's new consumer software interface, are also working together to pre-install eReader technology on the Dell Latitude 2120. Blio's technology soon available on the Latitude 2110 will allow easy access to digital content with 90, 180 and 270-degree image rotation for easy eBook consumption. If you have not seen the Blio eReader software in action, here is a brief demonstration from CES last week. 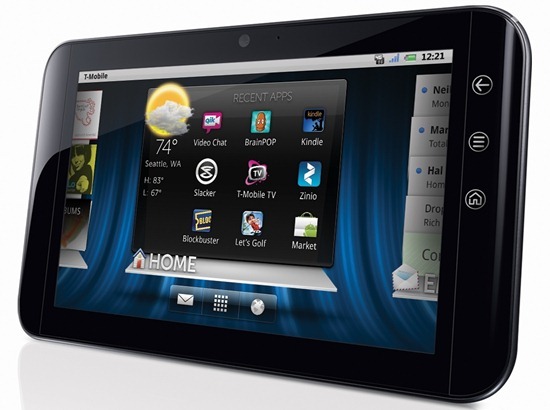 Dell's new Streak 7 tablet was recently announced at CES, and also proved popular with attendees at BETT this week. Dell is helping to improve access to technology for underserved children through its charitable YouthConnect programme. The programme has been expanded to reach an additional one million children in 2011. I've spent part of the day filming and will follow-up with more details in the coming days on our Dell Education blog. XPS 13 is Finally Perfect. Smile! Too bad dell threw New York state under the Bus. Kept switching sales reps around till there was only one for like 3 states. Then dells support especially for governments and schools went down the drain. Now dell is not even on the agg buy list anymore. thats reserved for hp and lenovo. So dell should not be saying anything about education . majortom1981, Thank you for bringing this to our attention. Our team in NYS with more than 20 employees dedicated to serving the needs of our NYS education customers. Based on your comment though things did not work the way they were supposed to. Happy to discuss your concerns in more detail. We'll reach out to you to do that.